We are redefining the future of talent acquisition by utilizing collective networks and technology which gives our clients an unfair advantage over their competitors, and a cost saving that is unparalleled. 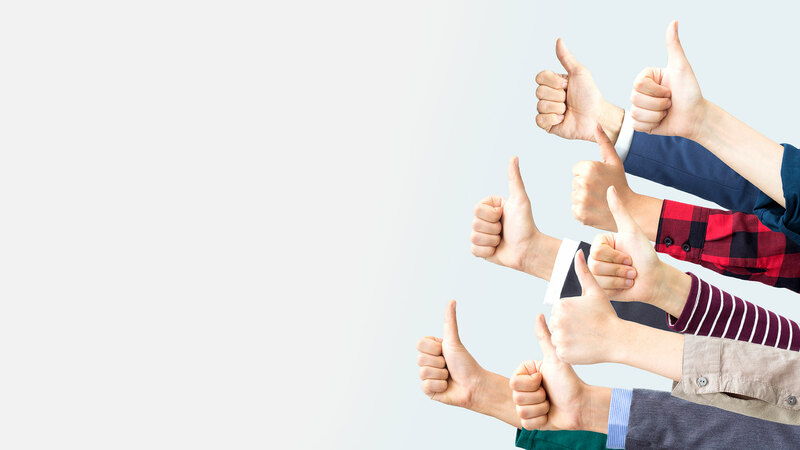 TalentHire unleashes the new economy through an innovative platform that connects talent, talent suppliers, and hiring organizations across a thriving exchange marketplace. We help our candidates obtain a better lifestyle, by leveraging the GIG economy where they are free to choose which job they want to work. Plus they get awesome benefits such as No-Cost Healthcare, Pension Program and much more! Recruiters earn more and run their own staffing company without the crazy business administration and overhead it takes to manage one. They are free to be the recruiting rockstars that they are and focus solely on taking care of their candidates. You require on-demand talent, are tired of unfilled orders, confusing fees & billing issues. You want to reduce employment costs too! We created a new staffing model empowering the GIG economy that’s a WIN-WIN for Employees, Recruiters, and Employers! Start Filling Your Empty Job Orders Today! 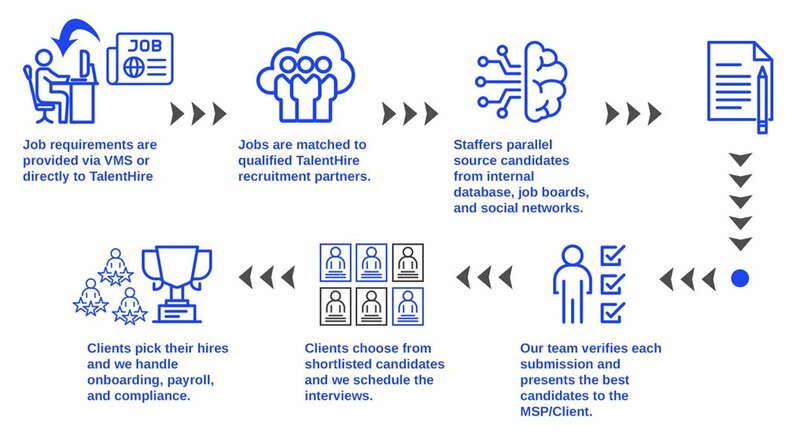 The new standard for connecting the staffing industry. Our on-demand platform enables businesses who utilize contingent labor to acquire and manage all resource types, including contractors, service providers, temp and full-time employees. We’re paving the way for the next generation of talent acquisition and staffing management solutions. Providing businesses with a unified system for acquiring, managing and tracking talent. From contract labor, services management and applicant tracking to project management and services automation, we partner with organizations to improve processes and reduce costs by leveraging the power of our elegant cloud-based system. Source from an Unlimited Pool of Talent! Tap into the power of the gig economy and harness the collective intelligence of thousands of skilled recruiters to hire the candidates you need. Don’t waste another precious moment or dollar, speak to a TalentHire representative today! Our system is adaptable to your business. Let us customize a solution that fits your business needs.